ecorn-cf: lt Sigitas Dumčius, Assoc. Prof., Ph.D., M.D. 1974–1979 Pediatrician at Kaunas Medical Academy. 1984 Academic fellow at the Clinical Research Institute of Medicine in Vilnius. Specialized in pediatric pulmonology. 1984–1987 Worked at the Lithuanian Ministry of Health and consulted on the management of children diseases. 1993–2004 Assoc. 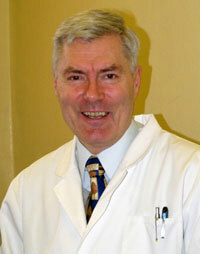 professor of Pediatric department of Kaunas Medical University. Author of more than 50 articles about various aspects of children pulmonology and CF in particular.